Kanawha Valley real state includes some of West Virginia’s most desirable farms, hunting properties, and urban and suburban neighborhoods. Charleston, Saint Albans, Winfield, and Buffalo are included in this region. Much of the valley region consists of low wooded ridges extending outward from the banks of the Kanawha River. 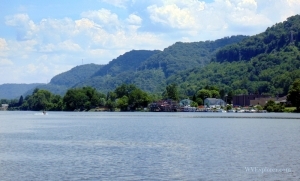 The valley along the river is part of the state’s largest metropolitan area. Historian and publisher David Sibray has made a life’s work of promoting West Virginia and its landscape, as a marketer of tourism and of farms, forests, and fine homes. An expert in the field of historic preservation, he sits on the board of the state’s Preservation Alliance and brings a wealth of knowledge to the sale of heritage properties. All or part of the following counties may be considered to be part of the Kanawha Valley Real Estate region: Boone County, Clay County, Fayette County, Jackson County, Kanawha County, Lincoln County, Mason County, Putnam County, Roane County.